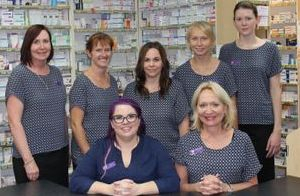 The Oakey pharmacy has been open in Oakey for over 120 years. We take pride in being the provider of many services to the community for many years as well as being a dispensing pharmacy with a large range of retail goods as well. The current owner, Debbie Tidswell has owned the pharmacy for 20 years and the team that work with her are all locals . We like to keep the money local and shop with the other businesses in Oakey. To provide health solutions to you, our customers, through the provision of quality service, medicines and solutions to your health issues. This is to be provided through well trained staff with exceptional customer service and pharmacy knowledge.